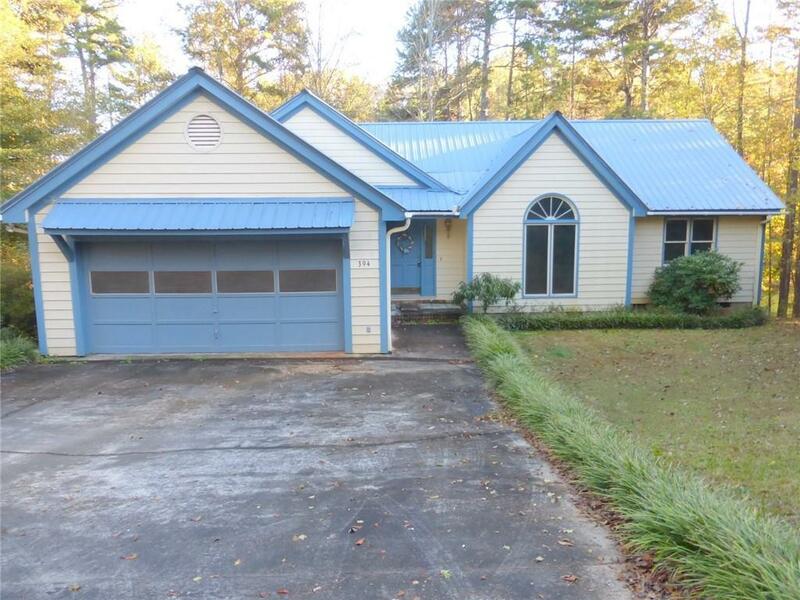 Lakefront ranch home on nice lot with 3 bedrooms/2 baths, 2 car garages plus boat door or 3rd garage for lots of storage or could be used to add finished square footage to home. Platform dock in place however, currently verbally approved for max total length (dock and gang walk combined) of 68' and a max dock width of 40' wide plus all other permits Corp. offers. 145â water frontage. Large Great room featuring tongue and groove vaulted ceiling, brick fireplace and sliding glass doors to open deck overlooking the lake, Sizeable kitchen with breakfast bar and eating area. Master on main. Colorful home! Come and bring your paint brush to make this home yours. Motivated Seller!